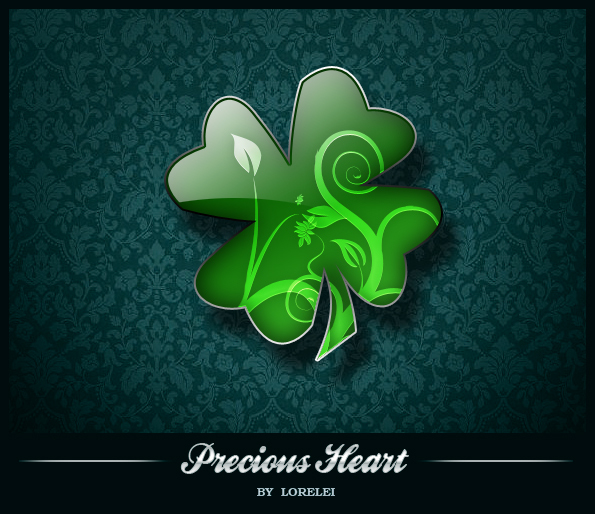 I decided to make a sister icon with a clover leaf. When I was in Prague last time I saw such an impressive variety of Swarovsky glass and it inspired me to make a graphic with similar structure, deep and subtly sparkling. Anyway, the download is free and you can use it any way you like 🙂 The preview image is desized, otherwise blog template gets reformatted, you can previous the full version here. I love your work! your amazing! This is awesome. Totally breathtaking. Nice work. and BTW, i noticed that there is a small error in your blog. The RSS Icon is actually an iconic representation of WiFi. RSS icons ought to be in Orange color and the waves tilted to right. Pingback: 24 ?????????? ?????????????????? .psd ????? - ????? 2 | ??????-?????? ?1. Hi thank you very much for your design! I really love it! Is this psd still available to download? Awesome image – would love to be able to download the psd if still available. Thanks!